^ a b c d Glueck, Grace (January 6, 1985). 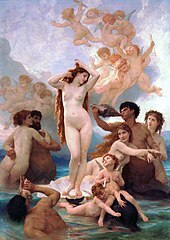 "To Bouguereau, Art Was Strictly 'The Beautiful'". The New York Times. Retrieved 27 January 2013. Glueck, Grace (January 6, 1985). 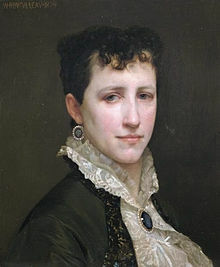 "To Bouguereau, Art Was Strictly 'The Beautiful'". The New York Times. Retrieved January 27, 2013. Russell, John (December 23, 1974). 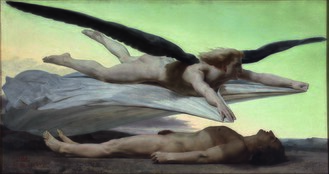 "Art: Cultural Center Honors Bouguereau". The New York Times. 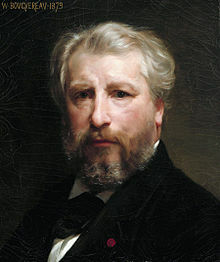 "The Bouguereau Market". The Arte newsletter. January 6, 1981. pp. 6–8.